Our work in motion planning has three goals. First, we are interested in topological representations of the set of possible trajectories called homologies, the effect of environment uncertainty on these homology classes, and exploration of partially known environments by multiple robots using topological (instead of metric) information. Second, we are interested in how these topological representations can lead to natural human robot interaction. 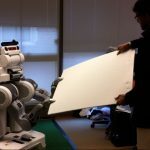 Finally, we are interested in motion planning algorithms for large teams of robots with dynamic constraints, especially when the robots are identical and therefore interchangeable. For more information, visit websites of researchers below. We will address the fundamental challenges of cooperative human-robot object manipulation and transportation, based on the precise formulation and rigorous solution of problems in perception, cognition, and control. The key concepts that this research seeks to promote are adaptability to human activity under minimal communication, and robustness to variability and uncertainty in the environment, achieved through a layered representation and deliberate processing of the available information. 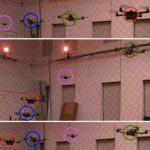 Moreover, this project aims to make maximum use of a minimal set of sensors to plan and control the actions of the robot, while ensuring safe and efficient cooperative transportation. For more information, visit websites of researchers below. 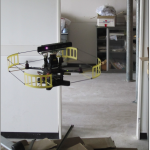 In this NSF sponsored Partnerships for Innovation (PFI) project, we are creating partnerships with small-business entrepreneurs in the area of micro aerial vehicles with applications to agriculture, security, law enforcement and first response. The partnership will enable the translation of fundamental, federally-sponsored, research results into products with societal benefits and commercial impact by implementing a loosely structured, commercially focused “play-like sandbox” environment among its partners. 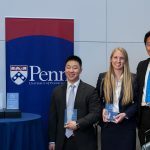 The Y-Prize competition at Penn is designed to explore novel applications and create new companies.